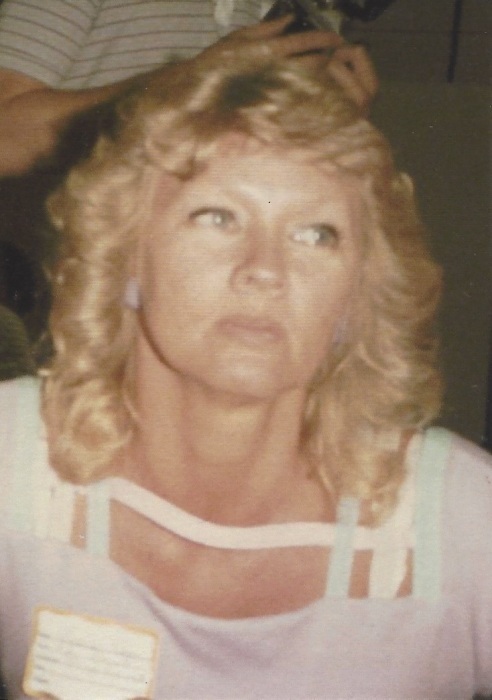 Sylvia Ann (Barnett) Goff, 71 of Eubank, Kentucky, passed away Sunday, August 26, 2018, at home with family. She was born May 6th, 1947 in Berea, to Dorothy and Ray Barnett of Brodhead. She grew up on the farm with her sisters Joyce and Leda. She had many wonderful memories from her childhood with her Halcomb family and friends that lived up and down Brindle Ridge. Her Barnett aunts and uncles were an important influence on her life. Sylvia married Michael New on October 8, 1966, and they had one son, Marty New of Eubank. They lived in Cherry Point, North Carolina while Mike was in the Marine Corps. They ran a country store at Bandy, in northern Pulaski County for some time and she was a beautician. She worked at American Greetings in Danville and later was a telephone operator for GTE in Somerset. She retired from Rockcastle Health and Rehabilitation in Brodhead, in 2013. On September 6, 1979, she married her second husband, Jackie Goff of Willailla. She often times helped him with construction business, even getting into the trenches, literally. She loved taking rides to nowhere in particular and Elvis Presley. She enjoyed raising livestock and her many pets over the years, yard work, raising flowers, and cooking. She left this world suddenly and too soon after a short battle with cancer. Sylvia is survived by: her son Marty New; her sisters: Joyce Thomas (Ronnie) and Leda Taylor (Eddie); her nephews: David Taylor (Beth) and Matthew Taylor (Jessica), a niece Lori Short (Rodney); and two great nephews and two great nieces. She was preceded in death by her parents Dorothy Ellen (Halcomb) Barnett and Dallas Ray Barnett, and her husband, Jackson Dewayne Goff. Services for Sylvia will begin with visitation Friday August 31st, 2018 from 7-9pm. Funeral will be Saturday, September 1st, 2018, at 1pm with Bro. Ron Roberts, both held at the Marvin E. Owens Home for Funerals. Burial will follow in the New Family Cemetery. Casket Bearers will be Matthew Taylor, Eddie Taylor, Gary Burdette, Rodney Short, and Ronnie Thomas. Donations in Sylvia’s honor can be made to Pulaski County Humane Society.